Aikido practised regularly encourages a healthy mental and spiritual disposition as well as a good physical well being. Aikido certainly fosters a high moral standard within its true teaching. The real Aikido spirit seeks to help others as well as oneself. Aikido is not merely a series of techniques designed to overcome or subdue an opponent, but are exercises, which embrace many universal laws of motion and natural movement. These are understood as the student progresses. The true Aikido avoids arrogance and fake pride, never taking advantage of those weaker or less skilful. Modesty and humility are not to be ignored. Respect is important between all students. Through the study of Aikido one will discover true values and learn to enjoy a harmonious relationship with ones fellow man. Aikido is not merely an art of techniques but into its exercises and movements are woven elements of philosophy psychology and dynamics. As one learns the various arts one will, at the same time, train the mind, improve the health and develop an unbreakable self-confidence. If there is respect, familiarity will not breed contempt. One cannot make perfect separation of the spiritual and physical without death resulting. Though the basic idea of physical application, the spiritual input of this theory should follow naturally. Politeness... Rules of behaviour, and common decency are very much part of Ki Aikido. All students are expected to acquaint themselves with Aikido etiquette. After starting practising, one should try not to give up, but continue with a strong mind, being determined to overcome difficulties. You will, by and by, understand the principles and spirit of Aikido, and feel great benefits. 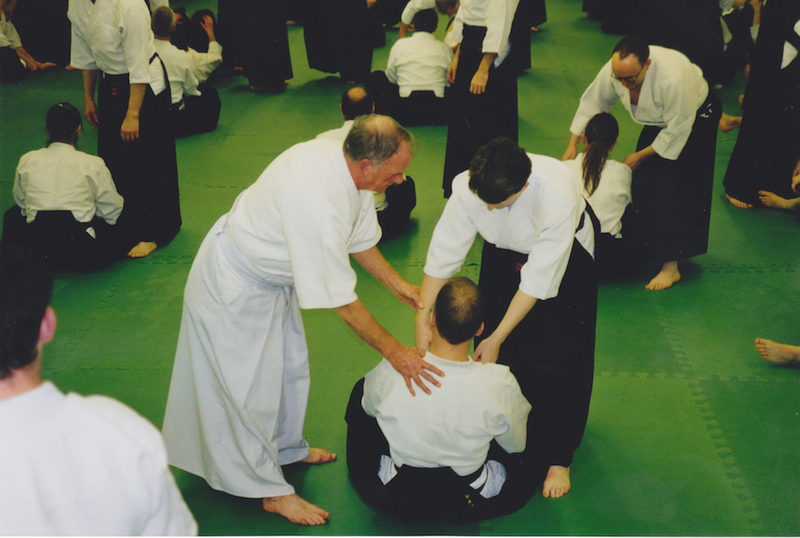 A further article by Sensei Williams: What is Ki Aikido?